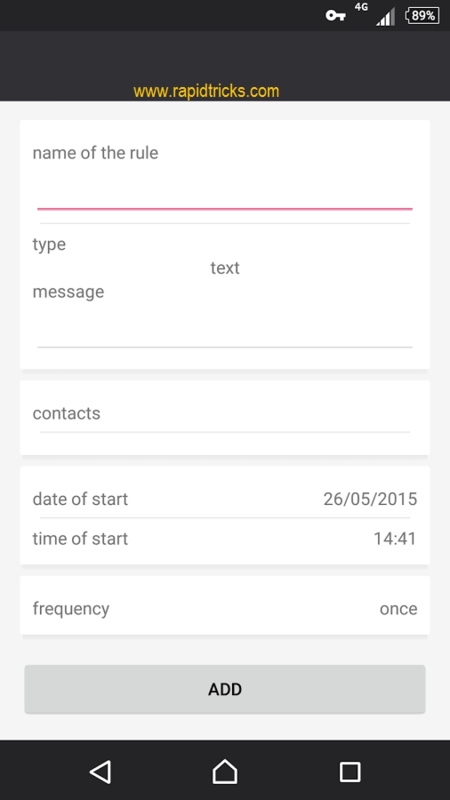 We will use Seebye Scheduler application in this trick, let’s have a look on its features. 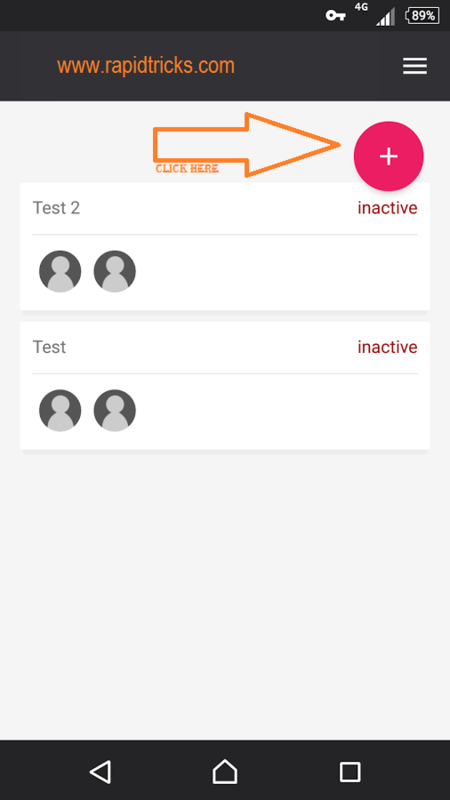 Easily creates rules to send messages at specific times. 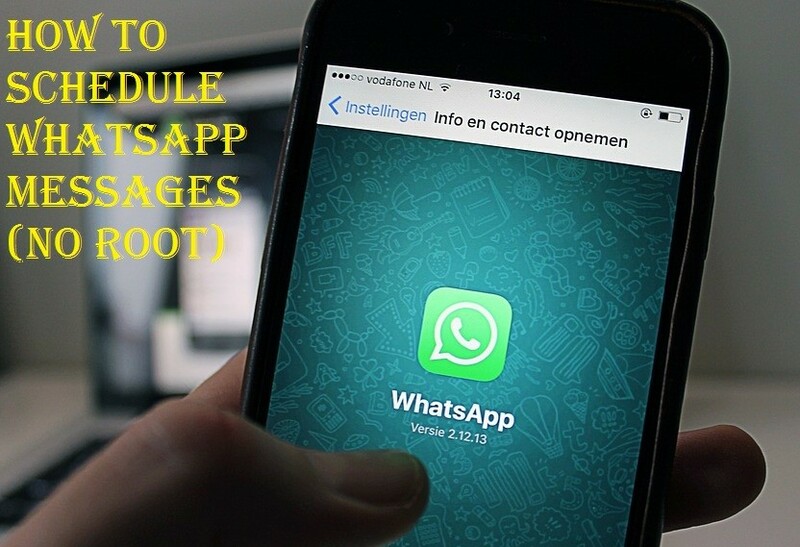 Note: You will need to install both WhatsApp and Seebye applications in your phone to use this trick. Use the steps given below to schedule WhatsApp messages. 1. First of all you will need to download and install WhatsApp Scheduler App. 2. Now open the application and you will see some options on the screen. 3. Click on the (+) Icon to schedule a message on WhatsApp. 4. Now you will see message bar on the screen. 5. Write your message here and put all the details according to your needs. 6. Click on “ADD” button, and now your message schedule will be saved here. 7. The message will be automatically sent on the scheduled time. 8. That is it, you are all done.